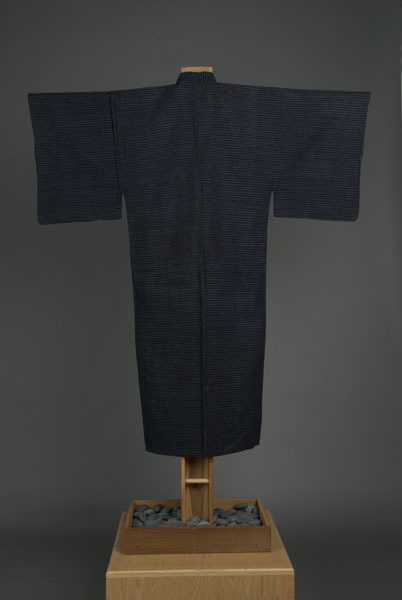 1 kimono : cotton ; 53.5 x 25 (center back) in., sleeves 19 x 12.5 in., collar 2.25 in. 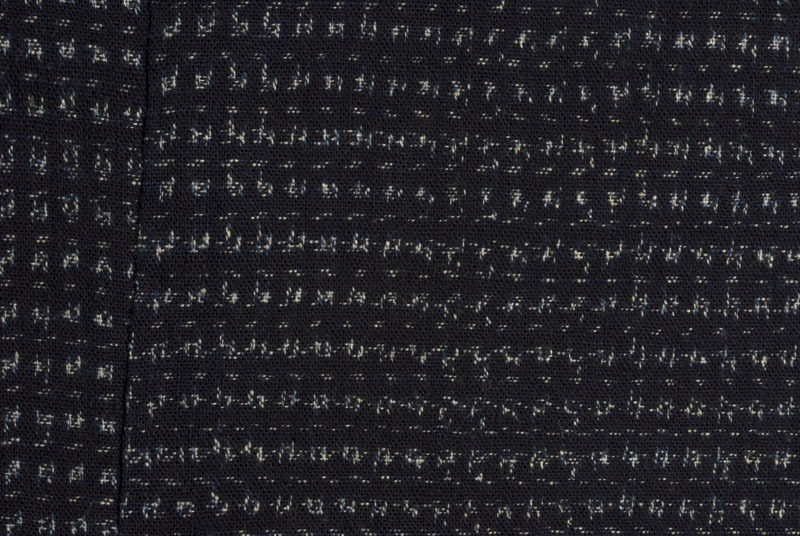 Dark indigo blue cotton kimono with kasuri kanoko (dappled fawn spot) pattern. Natural muslin lining at neck and shoulder area. 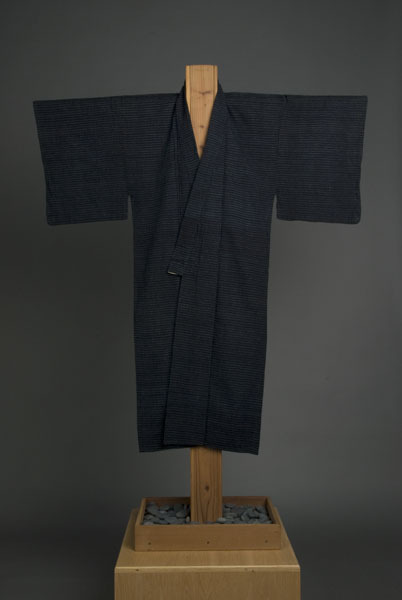 Kimono was discovered in an antique shop. It has a treasured design.